If you have broken windows, you should plan to get them replaced as soon as possible. Not only are broken windows a security issue, but they can also cause, and contribute to, damage to other areas of your home. Broken windows, even if covered temporarily, can allow moisture and pests into your home. In addition to those potential concerns, your home can also start to suffer from large amounts of heating and cooling loss. Depending on the season, this could result in higher energy bills as your system works harder to maintain a comfortable temperature inside your home. Replacement windows help your home stay protected, secure, and energy efficient while also preventing any further damage that could be caused by delaying the repair. Your roof protects your home from the elements and any damage to it can be detrimental to your home. Missing or damaged shingles compromise your home’s structure and leave it susceptible to weather and pests. This can cause moisture to enter your home, which could end up causing mold in addition to other damage. Should a compromised roof allow a raccoon or another wild animal into your home, the damage could become quite pervasive very quickly. Over time, moisture, water, and pests can weaken your home’s structure causing bowing, breaking, drywall damage, and more. Because your roof is instrumental in protecting your home, any damage to it is an urgent home repair. The more extensive the damage to the roof, the more urgent the repair will become. Repairing or replacing your roof helps prevent further damage to your home and helps to keep it protected long-term. Water damage can have serious consequences over time. In addition to damaging your personal belongings, it can also cause detrimental damage to your home. A leaky basement that is left unrepaired regularly allows water and moisture into a home. Although regular monitoring and cleanup can help prevent a basement from flooding completely, the moisture can cause mold to grow and can end up damaging the walls, insulation, framing, and even the foundation over time. All of these related damages are far costlier than repairing and redoing the basement. A finished basement that is properly sealed helps to keep your home’s foundation protected, keeps your basement dry, and gives you more liveable space to use, even if you just use it for storage. Old, damaged, and poorly sealed or installed windows and doors are some of the largest culprits of energy loss in your home. Much like broken windows, a broken door should be a priority repair. Aside from security issues, broken doors do not insulate well and allow moisture, pests, and other potential dangers into your home. These elements can damage the frame, surrounding walls, and more within your home causing your repair list to grow unnecessarily. Replacement doors secure your home, protect it against the elements, and provide insulation to prevent energy loss. Plus, a new front door tends to increase the curb appeal of your home. Your gutters are responsible for draining water and routing it away from your home. If you are not using gutter protection, like a gutter guard, they can become clogged with leaves and other debris. Checking gutters regularly and keeping them free of debris helps keep water draining away from your home. In the case of a loose gutter, it’s important to repair or replace it as soon as possible. A loose gutter often does not route water away from your house as intended. This can cause water to pool near your house and seep into areas it’s not supposed to go, like around your foundation or inside your home. A loose gutter also has the potential to fall or break away from the house, which can cause a lot of collateral damage on the way down. Investing in a new gutter or gutter guard ensures your gutter is secure and keeps water draining away from your house. Regardless of your home improvement needs, Zephyr Thomas is here to help. 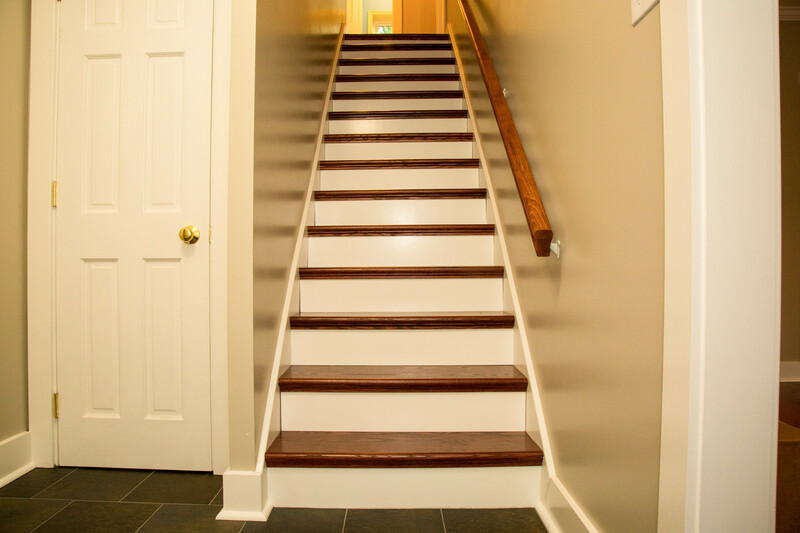 Call us at 717-399-4708 to talk about your next home improvement project!